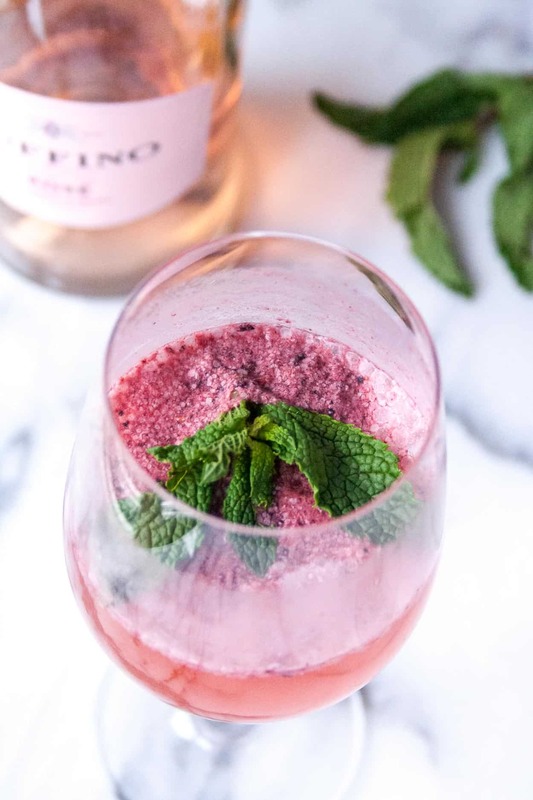 A simple way to spruce up your brunch cocktail… rose sorbet mimosas are the perfect spring cocktail – for bridal showers, baby showers, and Mother’s Day! 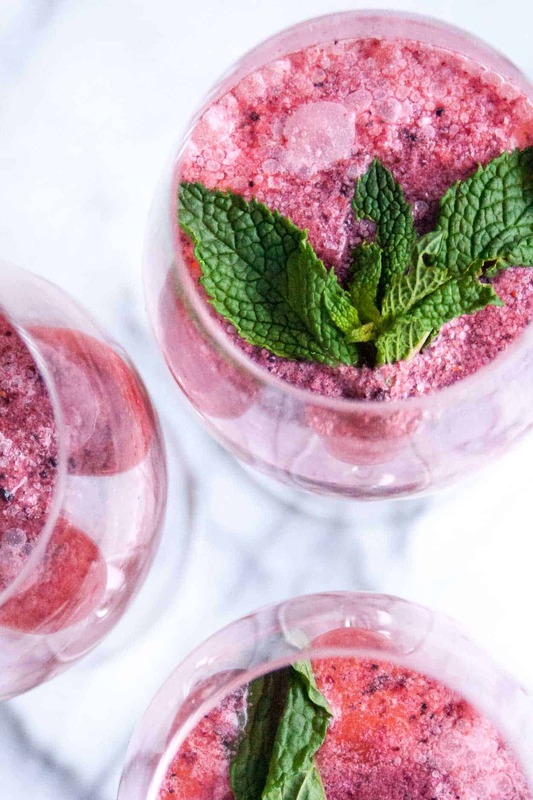 I am beyond excited to share these rose sorbet mimosas with you today because a few blogger friends and I are throwing Allie a virtual bridal shower!! If you don’t know Allie, she is the face behind Miss Allie’s Kitchen and the content creator and director of Pure Taste Recipes. I met Allie through blogging and feel so lucky to have found her! She is sweet and spunky, has killer dance moves, loves to spend time outdoors, and is getting married to her handsome fiance Jared in less than a month! But because we are scattered across the US and cannot throw Allie a shower IRL, we decided a virtual shower is just as good! Make sure you check out the posts from Jess, Kelsey, Chrissa, Kelly, Dana, and Kara too. We’ve got ALL the goods for an epic bridal shower! Now about these mimosas… I feel like mimosas are a quintessential bridal brunch drink, right?! I mean, I definitely had them at my bridal shower and bachelorette party too. But I’m switching things up and adding sorbet! YES. Well in this case, I added my triple berry ice cream, but seriously any flavor of sorbet would be fab. Raspberry would probs be my numba one, but any would do! And if mimosas weren’t basic enough, ROSE mimosas no doubt bring our basic status up a few notches. 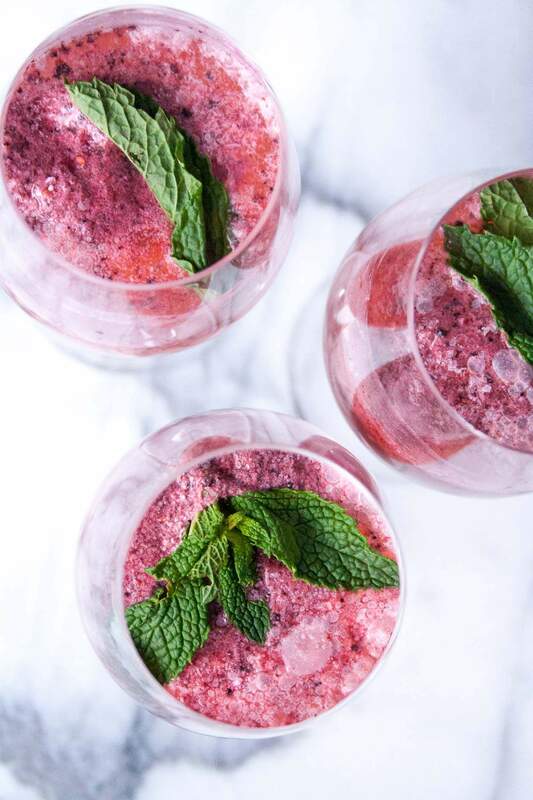 When you make these Rose Sorbet Mimosas, post a picture on social media and use the hashtag #imhungrybynature for a chance to be featured! And don’t forget to wish Allie and Jared a happily ever after! 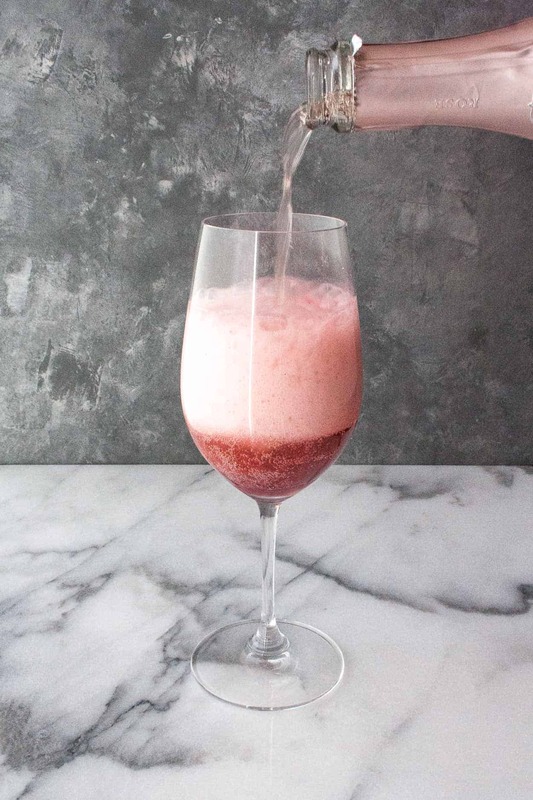 Add 1 scoop of sorbet to each champagne glass. Top with rose and garnish with fresh mint. Make sure you pin this for later! THESE LOOK UNREAL. How funny, I just ordered a bottle of rose last night. Hmmm what to do, what to do 🙂 Love you and so grateful for this!